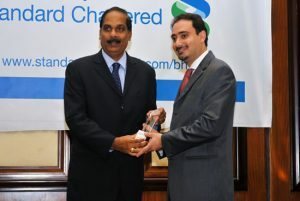 First Bahrain’s Majaal Warehouse Co., an SME-focused warehousing and logistics project at the Bahrain Investment Wharf, last night won the Best Industrial Development at the 2009 GRE Awards for Excellence in Real Estate. The award was given for Majaal‘s significant contribution to the development of the Kingdoms real estate and warehousing sector, as well as for the key role it plays in stimulating the economic growth of Bahrain, despite the global economic turmoil. 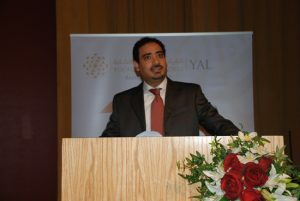 The prestigious award was presented at a ceremony held at the Crowne Plaza Hotel yesterday as part of the 2nd Annual Gulf Real Estate Fundamentals Conference (GREF) 2009. 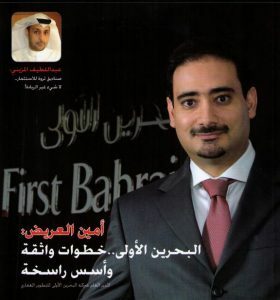 Majaal is a wholly owned subsidiary of First Bahrain, an innovative regional real estate development company. First Bahrain, an innovative regional real estate developer, today announced the launch of its new subsidiary, Majaal Warehouse Co., the region’s first small to medium enterprises (SME) focused warehousing and logistics company. 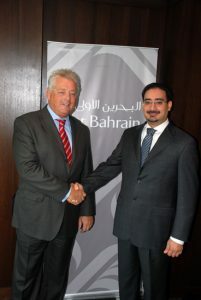 Majaal will be the operating company to manage First Bahrain’s inaugural project located at the Bahrain Investment Wharf. The new company was unveiled at a grand ceremony at the Ritz Carlton Bahrain Hotel and Spa in the presence of First Bahrain‘s Chairman Mr. Salah Ahmed Al-Wuhaib, principal shareholders, guests, media representatives and the management team of First Bahrain. First Bahrain, an innovative regional real estate developer, today announced the appointment of DTZ, one of the largest, diversified real estate services companies as exclusive leasing agent for its 716,000 sq ft, warehousing project at the Bahrain Investment Wharf (BIW). DTZ will be spearheading the marketing of the region’s first, USD 45 million small to medium enterprises (SME) focused integrated warehousing and logistics development, the first phase of which is scheduled to be completed by December 2009. First Bahrain, an innovative regional real estate developer, today announced the achievement of a significant milestone, being the completion of 50% of the construction of the company’s logistics and warehousing project at the Bahrain Investment Wharf (BIW). 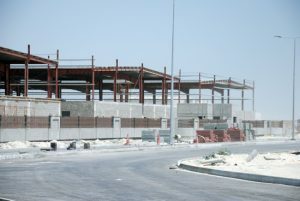 Main construction work of the project is being undertaken by Abdullah H. Al Darazi & Sons, who are working on schedule to complete the project on time by December 2009. Tenants are expected to be able to occupy the buildings from 1 January 2010. First Bahrain, an innovative regional real estate developer, today announced the appointment of 4SPOTS to build the website for its warehousing project at the Bahrain Investment Wharf (BIW). 4SPOTS, a leading web design and development company, has been operating for over four years and has developed award winning websites for a wide range of prestigious companies including, MenaTelecom, Bahrain Islamic Bank, and National commercial Bank. The Young Arab Leaders (YAL) Steps to Success workshop, which runs from 30 June until 1st July at the University of Bahrain, was today addressed by Amin Al Arrayed, General Manager of First Bahrain, an innovative regional real estate developer. Other key note speakers scheduled for the event which is being attended by a select group of Bahraini students, include Ahmed Al Banna, Chief People Officer of Gulf Air and Abdulhakeem Alkhayyat, CEO of KFH-Bahrain and Bassim Al Alawi Managing Director of Al Alawi Factories. 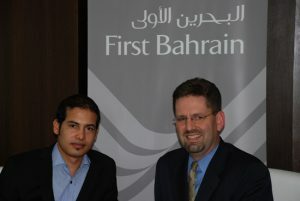 First Bahrain, an innovative regional real estate developer, is pleased to announce the appointment of Yasser Abu-Lughod as Senior Projects Manager. This appointment reinforces First Bahrain’s commitment to building a professional workforce to support its continued growth. 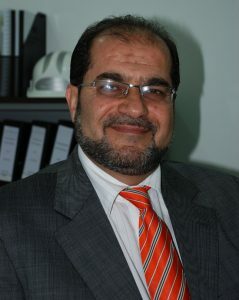 First Bahrain, an innovative regional real estate developer, today announced the appointment of Unisono as strategic brand consultants for its warehousing project at the Bahrain Investment Wharf (BIW), which is conceived due to a clear shortage of quality warehouse space in the Kingdom. Unisono has been operating in the Gulf region for over three years, and has created award winning brands which are well known in Bahrain, including Bahrain National Insurance Company, Automo, Ijara, and HPC (Hidd Power Company). Most recently, Unisono has been appointed as the global rebranding partner for Cityscape.